Etherwood getting Annie Mac Exclusive shows you how far he’s come. Not only is he one of the best in the world in liquid, but his composition & piano work continues to soar as he takes Europe by storm. This track has a little bit of a Rudimental vibe to it, but considering how much I love the two of them, I certainly ain’t complaining. This is definitely the bread & butter of the liquid drum & bass world. Fast but soft, potent, yet, seemingly light, Etherwood executes perfectly as always Zara Kershaw comes in to add soul to the mix to great effect. It’s definitely a must listen while you’re at the gym, grinding through work, driving, or even just jamming out in your underwear. Med School & Etherwood deliver as always. Attend:More Fridays! – Hospitality ft. Nu:Tone, Metrik & Etherwood @ Slake! This is a set of previews from Nu:Tone’s latest album, from Nov. 2014. It’s the drum & bass you used to write home about to your best girl while you were fighting in the struggle. The lightness that Nu:Tone is able to issue forth doesn’t sacrifice any of the dope jungle, liquid or soulful roots you need in a proper D&B album. This may seem like surface stuff, but put the whole album into your world, and you’ll find a surprising amount of depth and throwback themes & vibes to turn your head while you groove. Metrik dropped an album about 5 months ago, but it contained one of my absolute favorite tracks of 2014, Make The Floor Burn. The album is rapturous joy, a sonic journey that most producers should spend a semester studying. The progressions, chords & bass are unmatched, except by other members of the Hospital Records stable. When London Elektricity says he’d take a bullet for the record, you know it’s not something to ignore. Bringing up the rear is the irreplaceable Etherwood. Etherwood creates drum & bass that I can only describe as crushingly beautiful. I would go on about his attention to detail, deep understanding, or perfectionist production skills, but really, that would just be more time you spend reading this and not listening to his album preview. So, go listen to that. When you’re done, here’s some icing for your drum & bass cake. DJ Dali is one my hometown favorites that ensures parties like this actually happen. He & Nicky Twist going B2B on some d&b will be a sight to behold, and my Konkrete alumni know what I’m talking about. Cameron Kush holds the record for the weirdest set I’ve heard at Slake that maintained a full dance floor, so I’m always interested in hearing what he’s got cooked up for us. Tickets can be purchased here & the event info is right here. Update! Dali & Alex English have dropped another D&B mix to get you hype for Saturday night. Respect! Mistabishi really can do great work when he puts his mind to it. This track from a while ago, really encapsulates what the genre of drum & bass can be. The Matrix remix of From Memory and the music video created for Hospital Records is equally good. Watching the creativity of a human drain away from them while they work their lives away have become one of the central stories of the Western world in the modern age. This video is no exception, and frankly, especially at this point, I think we need to be reminded to do it more. Especially when there are no guarantees of job security even if you play by all the rules. The idea that his mixer & system are in a box labeled “old stuff” and he’s still rocking an old CRT monitor really give the video a little bit more authentic resonance than you’d expect. The vibe here is almost hopeful, which is shocking for a UK release, I know. This is the kind of remix we need to see more of. Submotion Orchestra does some stunning work that you need to check out, right after you listen to this song of course. S.P.Y. is another one of the drum & bass knights at the round table that is Hospital Records. He’s got this preternatural sense of how to build the low end while keeping you grooving with his mastery of the vocal remix. A bustling track, this kind of sound is what make the genre one of my favorite. Get at this guy and don’t forget, Hospitality is coming to this side of the planet! I don’t know how I missed this. London Elektricity turned me onto this track on his XmasCast so, I’m going to bring you the best bits over the coming week. This one is on the heavier end of D&B, but there’s a smoothness to the vibe while still being an exquisite & driving production. The build into the punchy, vintage sound works flawlessly, and you find yourself solidly in the realm of the camouflage pants & hoodie wearing bassheads. With a dreamy interlude and an even more impressive build, we only get a taste of the 2nd drop before the tune taps out. 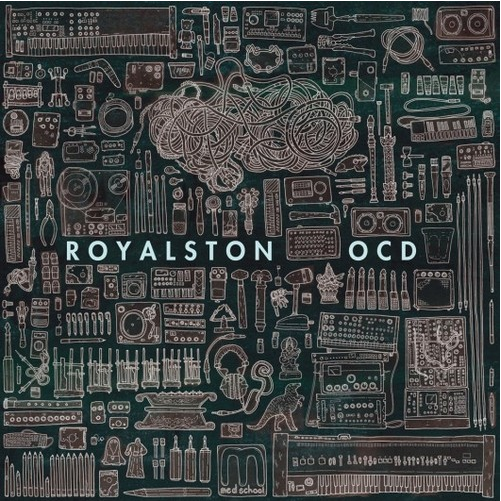 This is definitely one of the best D&B tunes of 2014 and Royalston, from down under, is not be watched. All they need is a dope remix or a slot at a Hospital Records show, and you’ll be hearing about them. I guarantee it. This Hospital/Med School Records group is going to get in your face soon.